We currently work on several drug discovery projects. We collaborate with experimental scientists across the country with the goal of developing chemical modulators for the treatment of multiple diseases. We bring chemical entities to biology using computational tools like docking, pharmacophore modeling, molecular dynamics, ADME predictions, and homology modeling. We are particularly interested in studying membrane protein such as G-Protein Coupled receptors. We employ enhanced molecular dynamics simulations such as accelerated Molecular dynamics, Metadynamics , and Free Energy Perturbations. We are currently developing a benchmark where the user is allowed to choose among different Machine Learning models in order to predict specific pharmacokinetics (PK) and drug metabolism (DM) properties from a wide variety of ligands. These predictions may fit into a regression or classification mode, for instance, the user may want to predict the solubility of a ligand (regression problem) or whether it crosses the blood brain barrier (BBB) or not (classification problem). 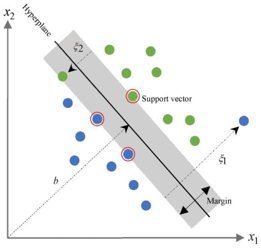 For this, we are providing different models that include Support Vector Machine (SVM), Random Forests (RF), Multi Linear Regression, among others. Predicting this properties will help the user to speed up the process for the pre-clinical trials in regards of drug discovery. Ligand Net is a tool which combines different machine learning models into one platform for the prediction of the state of the ligands either actives or decoys. If the ligands bind to the protein it is classified as active, else as decoy. This tool provides the user the feasibility to choose different parameters from data preparation to model selection. 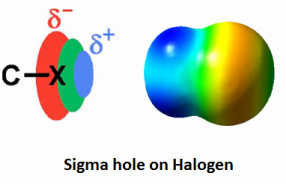 For example, for feature generation user can use Extended Circular Fingerprint, Topological Pharmacophore Atomic Triplets Fingerprint (TPATF), Topological Pharmacophore Atom Pairs Fingerprint etc. Similarly, for data splitting, user will have the option of Random splitting, Index splitting, Shuffle splitting, among others. We are interested in studying role of weak non-covalent interactions in molecular recognition and develop scoring functions to incorporate such interactions. We are working in bringing theory to computation. We are developing several computational tools that can be used in computer aided drug discovery research. Please see software page of this website for our recently developed software. Computational tasks can be time taking. We are exploiting the computational power available on today’s graphics processing units (GPUs) for accelerating these tasks considerably. During the past few years, GPUs have become an alternative to purely CPU-based high-performance computing. Our goal is to expedite the process by running the calculations parallely using the Graphical Processing Units. Our lab is currently involved int he development of GPU enabled virtual screening (molecular docking) software. Rule-based modeling is a modeling approach that uses a set of rules that indirectly specifies a mathematical model. The rule-set can either be translated into a model such as Markov chains or differential equations, or be treated using tools that directly work on the rule-set in place of a translated model, as the latter is typically much bigger. Rule-based modeling is especially effective in cases where the rule-set is significantly simpler than the model it implies, meaning that the model is a repeated manifestation of a limited number of patterns. An important domain where this is often the case is biochemical models of living organisms. we are working with our collaborators at Northern Arizona University and Los Alamos National Laboratory in developing specialized software tools for modeling cellular information processing and decision making.